Myth #4: "All Styles are Equal"
Which style of hearing aid should you get? One that goes behind the ear? What about your glasses? One that goes inside the ear? That would be less noticeable, wouldn't it? Personal preference is important. But, if you've been led to believe that your personal preference is the only deciding factor, and that all hearing aid styles deliver the same results, there are other considerations you may need include in the decision. There is a significant difference between hearing aid styles. While best practices go a long, long way. They cannot ever fully overcome having chosen the wrong style. Choosing the wrong style sometimes results in short-term satisfaction, but hearing better is not only a short-term goal. The wrong hearing aid style will prove a challenge when meeting the high priority, long-term expectations of clients. Every client has short-term and long-term expectations of hearing aids, whether they initially know it or not. In the short term, considerations such as visibility, comfort, and ease of use are usually paramount. But, as the client adapts to their hearing solution, new expectations inevitably arise. One expectation that rises to the top, time and time again, is a desire to hear better in noisy environments. 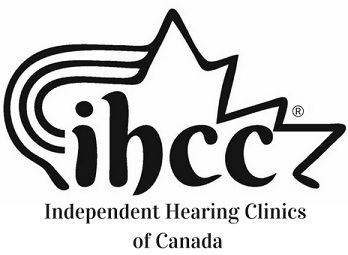 Less than 20% of hearing clinics perform best practice speech-in-noise testing during routine hearing tests. Without this information, an informed decision cannot be made regarding the speech-in-noise capabilities of hearing aids at the time of purchase. Clients are sold hearing aids that are comfortable and work well in ideal conditions - having conversations or watching TV in the quiet of one's own home. However, these same hearing aids may prove woefully inadequate the first time a client is out in a restaurant or at a noisy family dinner. Traditional hearing testing is effective at addressing sound "clarity" and "balance" needs for those with hearing loss. However traditional, basic hearing testing cannot accurately predict the "directionality" and/or "noise reduction" needs of clients. Additional, best-practice testing is required. At the time of this writing, multiple studies have shown that "directionality" is the only feature scientifically proven to improve one's ability to hear speech in noise, while "noise reduction" has been proven to be directly related to many client's willingness to consistently wear their hearing aids. Not all hearing aids styles provide the same magnitude of "directionality" and/or "noise reduction". Not even close. For example, hearing aids that fit more deeply into the ear provide absolutely no "directionality", while larger In-the-Ear (ITE) models are about 50% as effective as most Behind-the-Ear (BTE) models. Similarly, a client with a great need for "noise reduction" will be disappointed if fitted with the popular, generic-domed, behind-the-ear hearing aids. This popular BTE configuration can only reduce up to half the noise as compared to custom fitted BTE models. In fact, open-dome BTE's offer no noise reduction at all. Quality hearing clinics understand a client's short-term needs and can accurately predict and address longer-term needs at the time of purchase.